ALBANY — A radical abortion expansion bill supported by New York Governor Andrew Cuomo has been thwarted in the state Senate due to the efforts of the Independent Democratic Conference and its leader, Senator Jeff Klein. As previously reported, Cuomo had spoken of his intent to pass an abortion bill as part of his ten-point “Women’s Equality Act” during his “state of the state” address in January. “Protect a woman’s freedom of choice. Enact a Reproductive Health Act because it is her body, it is her choice,” he declared to those gathered, repeating the “her body, her choice” clause three times. However, the proposed bill backed by Cuomo caused great alarm to pro-life organizations throughout the state. They warned that the legislation would not only redefine pregnancy as beginning at implantation rather than conception, allow non-physicians to perform abortions in some instances, and jeopardize conscience protections for faith-based doctors and hospitals, but would also implement late-term abortion-on-demand. Reports state that Cuomo’s motive behind the legislation was to ensure that abortion would remain “legal” in the state in the event that Roe v. Wade was somehow overturned on a national level. On Monday of this week, the Independent Democratic Conference introduced Cuomo’s “Women’s Equality Act” in the Senate, minus the abortion expansion legislation. According to reports, the Conference decided to drop the bill as it would result in the certain defeat of the entire Act. 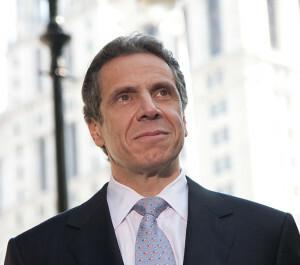 Therefore, Cuomo agreed to allow the Act to be broken up into ten separate bills in the Senate. However, it remained intact in the Assembly, and passed on Thursday — abortion expansion language and all. As the matter then moved to the Senate, Jeff Klein, the leader of the Independent Democratic Conference, decided to attach the abortion plank as a “hostile amendment” to a bill pertaining to medical records. Exactly 32 votes were needed in order to prevent the bill from moving forward in the Senate. New Yorkers for Constitutional Freedoms issued an announcement late Friday night rejoicing that abortion expansion has come to a screeching halt due to the efforts of state legislators.